American fashion designer Kate Spade has been found dead in her New York apartment. It’s understood the 55-year-old was found by her housekeeper at her home on Manhattan’s Upper East Side around 11am (1am AEST). According to local media and police, she is believed to have taken her own life and left a note for her daughter at the scene. “At this point, there was a note left. The contents of that note, as well as the physical state of the apartment and the comments of the witness, lend to the credibility that it is an apparent suicide,” NYPD Chief of Detectives Dermot Shea told reporters in the US. Spade was best known for her signature handbags and bright accessories with which she built her fashion empire in 1993. Kate Spade New York released a statement this morning confirming the sad news. “Although Kate has not been affiliated with the brand for more than a decade, she and her husband and creative partner, Andy, were the founders of our beloved brand. Spade is survived by her husband Andy Spade and 13-year-old daughter. Tributes for the handbag mogul have since flooded social media. 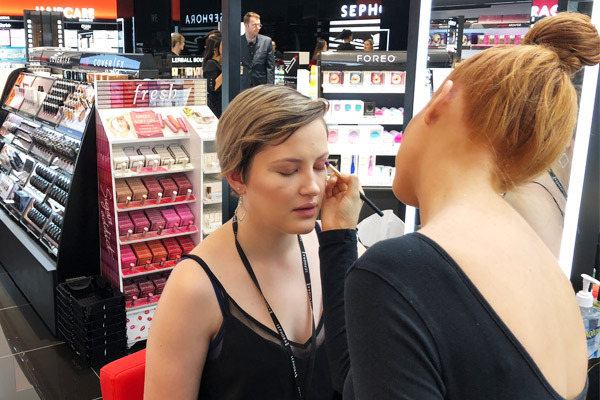 Off the back of Sephora opening its doors earlier this month, Robina Town Centre have announced another two brands are now open at the local shopping hotspot. Popular menswear store Johnny Big by Tarocash and shoe retailer Windsor Smith have both opened new stores over the past week. Johnny Big made its debut at Robina last Wednesday and is the brand’s second store on the Gold Coast. Located near Big W, the store offers fashionable and affordable clothing for the bigger guy who wants to look smart, with sizes ranging from XL to 8XL. As part of their opening celebrations, this Thursday brand ambassador and Gold Coaster, Apollo Jackson from The Bachelor and Bachelor in Paradise, will be stopping by the store on Thursday 17th May from 5 – 6pm to meet and greet fans. Shoe-lovers are also rejoicing with iconic Australian brand Windsor Smith swinging open its doors at the shopping centre on Monday. Located opposite Cotton On, the new store offers statement footwear for both men and women, with plenty of lust-worthy styles straight off the runway. They are also celebrating the new store by offering customers 30% off this Saturday 19th May. In other news, Robina Town Centre confirmed accessories giant Mimco has also recently unveiled its newly renovated store outside David Jones. Well-known Australian fashion designer Camilla Franks has revealed she’s been diagnosed with breast cancer. The 42-year-old shared the news with her 307,000 Camilla With Love Instagram followers on Wednesday. “This year, 18,000 women in this backyard of ours will be diagnosed with breast cancer this year. Today, I am one of them,” she wrote. “Like all life’s adversities, we are choosing to unite and face this one with acceptance, endurance and love. This is the only way – and I have the best kind of love by my side. As you know, my beautiful Luna Gypsy arrived only a few months ago, and it is her joy and warmth that remind me that this is a journey I will embark on with courage – for her and for us. Camilla continued by asking for privacy during this difficult time. “While I know I have your love and support, I also kindly request personal privacy whilst I enter the battlefield,” she said. The new mum only recently returned to work from maternity leave after giving birth three months ago. 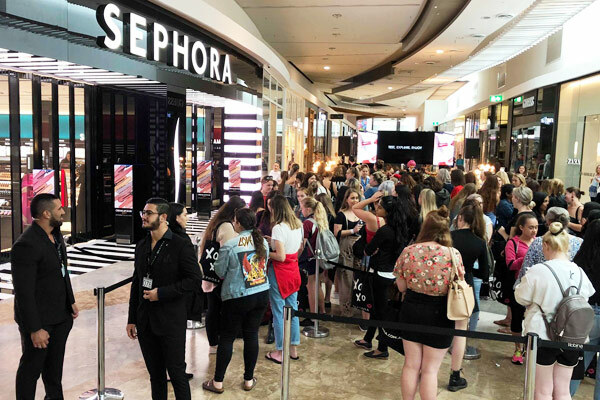 Thousands of Gold Coast beauty junkies hit Robina Town Centre this morning to be among the first to check out the brand new Sephora store. The lineup of eager locals was out to the carpark, with many arriving before dawn to secure a place in the queue. Skylar told myGC she joined the line just before 7:30am, and there were hundreds of people ahead of her. “Cartia Mallan is a YouTube blogger and she is going to be here to help open the store today. I’m a huge fan of hers, so I don’t mind having to wait to meet her,” she said. 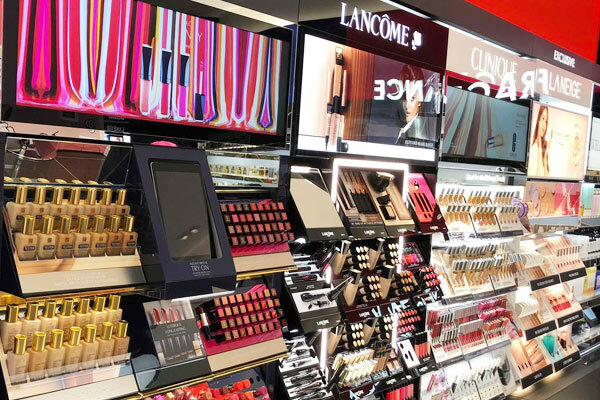 The new Sephora store is the second on the Gold Coast for the international cosmetics retailer, with one already located at Pacific Fair, and the 14th store the chain has opened nationally. 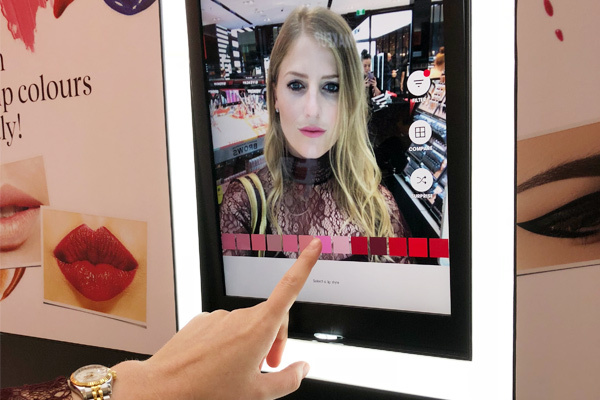 However, the Robina store is the first in the country to have Virtual Artist technology, which allows you to try hundreds of lipstick shades instantly. 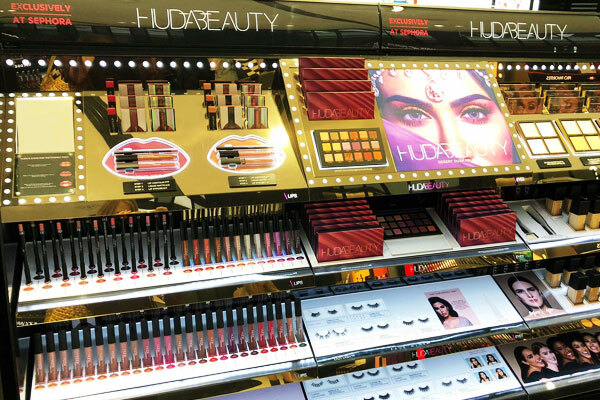 While the new store is slightly smaller than the existing one at Pacific Fair, Sephora Country Manager Libby Amelia said the Robina store stocks an array of cult, luxe and exclusive offerings from local and international brands. 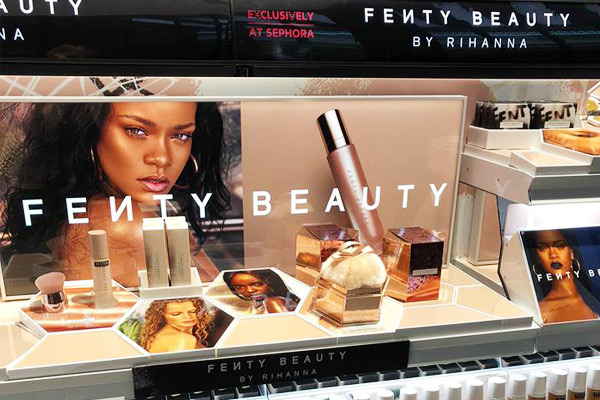 “With key makeup brands like FENTY BEAUTY, Huda and Anastasia Beverly Hills; niche hair care brands such as IGK, Drybar and OUAI alongside our latest skincare launch Fresh, there is a huge focus on the new and exclusive,” she said.